Portugal is great, but the Italians don’t do so badly either! 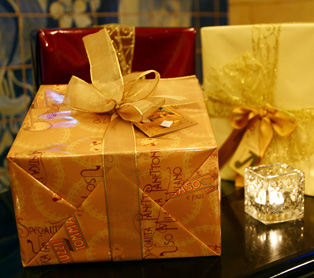 For the holiday season, Vasco will be serving all kinds of treats created by renowned Italian confectioner Muzzi. You’ll be spoiled for choice, with panettoni, torroni, assorted cookie gift boxes, fruit and spice chocolate bars, and wedges of panforte. The Muzzi dynasty dates back over 200 years to 1795, when, in a small confectioner’s workshop in the historic centre of Foligno, maestro Tommaso di Filippo Muzzi specialized in the production of the minuta, sugar-coated aniseed sweets. His descents were all named Tommaso and Filippo and continued to produce the delicious hard candies for decades. As the minuta tradition began to fade, it was up to another Tommaso, then another Filippo in the 20th century to start producing pastries and fresh cakes. Today, 207 years after it was founded, the antica pasticceria Muzzi is located in Loredana and managed by three more Muzzi descendants. While preserving their rich pastry-making tradition, they have undertaken a much-needed modernization of their manufacturing processes, all the while respecting their ancestors’ heritage.